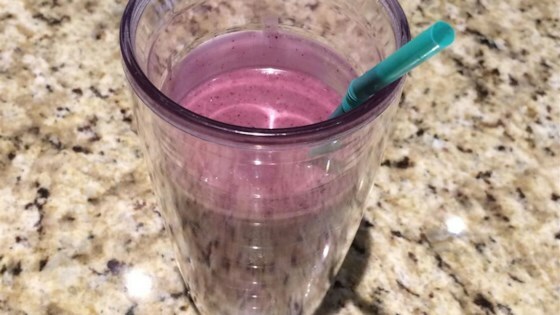 "The purple moose is an easy smoothie that tastes great to carnivores and vegans alike." Combine ice cubes, banana, rice milk, blueberries, peanut butter, and maple syrup in a blender; blend on low speed. Increase speed to medium-high and blend until smooth. If necessary, add a bit of rice milk if the ice cubes are bigger and it becomes too thick.